As a boarding school student in the early 1960s, Patrick Modiano lived among the troubled teenage sons of wealthy but self-involved parents. 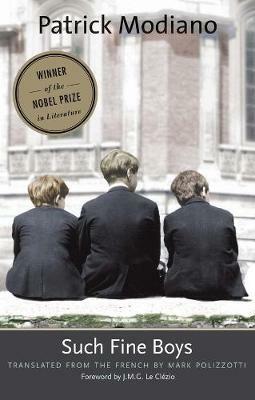 In this mesmerizing novel, Modiano weaves together a series of exquisitely crafted stories about such jettisoned boys at the exclusive Valvert School on the outskirts of Paris: abandoned children of privilege, left to create new family ties among themselves. Misfits and heroes, sports champions and good-hearted chums, the boys of Valvert misbehave, run away, get expelled, and engage in various forms of delinquency and disappearance. They emerge into adulthood tragically damaged, still tethered to their adolescent selves, powerless to escape the central loneliness of their lives in an ever-darkening spiral of self-delusion and grim consequence. A meditation on nostalgia, the pitfalls of privilege, and the vicissitudes of fate, this book fully demonstrates the powerful mix of sadness, mystery, wonder, and ominous danger that characterizes Modiano's most rewarding fiction. Special feature: J. M. G. Le Clezio's foreword, here in English for the first time, provides a rare and insightful appreciation of one Nobel laureate by another.